Getting outdoors can pay dividends in academic performance - but it also improves pupils' concentration and confidence. Three years ago teacher Simon Poote spotted a disused strip of land on the grounds of Long Crendon school in Aylesbury. Instead of giving over the 15-metre square lawn to recreational use, or simply ignoring it, Poote saw potential for creating an outdoor learning space for the primary’s year 1 to 6 students. The only snag was how to pay for the plot’s transformation. “We have lots of space but not much money,” says headteacher Sue Stamp. The school therefore appealed to parents, local businesses and the community to donate everything from landfill material to create small hills, to unwanted play equipment to build a trim trail and tunnels for the children to explore. Help came thick and fast, and the area now boasts a fully equipped thatched mud kitchen and a system of pipes and pulleys to transport water around the site. Stamp insists outdoor learning has become more than just a project for the school, “it’s a way of life” she explains. The whole ethos of the school is to be outdoors as much as possible, rain or shine, so that students of all ages also take part in forest school activities in a wooded area alongside the playing field two days a week, learning skills such as fire lighting and making charcoal, as well as being allowed to climb trees, all under supervision. Many of the outdoor activities they undertake are linked to curriculum subjects, and complement classroom lessons rather than detract from them. A factor which Stamp believes has played a part in the school’s continuing exam success. But outdoor learning is far more than an academic exercise – the head claims the impact on children’s mental health and wellbeing is undeniable. “We have seen an amazing difference in some children,” she says. “Children who just didn’t engage in the classroom suddenly come into their own when they get outside.” Students who are less academically inclined gain in confidence and Stamp claims she has seen them step up as leaders in practical group activities for the first time. Importantly, students are encouraged to take ownership of their own learning during outdoor learning sessions and teachers ask the children to set personal targets such as improving resilience, problem solving and working with others. Giving pupils the freedom to make decisions about their own learning is incredibly empowering for children, claims Juliet Robertson, an education consultant and outdoor learning expert. Not every child will be motivated by the promise of getting their hands dirty, so it’s vital they are given a choice. The teacher therefore needs to take a back seat from initiating and directing the lesson and place trust in the student to lead instead. The author of Dirty Teaching, and former headteacher, first observed the benefit of outdoor learning as a 19-year-old gap year student volunteering at an urban environmental education centre in Philadelphia in 1987. She was working with a group of 11 to 14-year-old boys who were considered successes because they weren’t addicted to crack cocaine. Although the centre had very little budget and the rundown area had few nearby parks, they would take the teenagers outdoors as frequently as possible. Over time they noticed these boys began to thrive and flourish. She says: “The more we took them into natural spaces, the calmer they became, the more concentrated they were and the less paper tiger talk – the big talk from the hood – there was.” It was a classic “Xbox detox”, Robertson adds, and is something that researchers have observed repeatedly when studying the effect of nature on the brain. A 2010 study from the University of Rochester found that spending time outdoors not only makes you happier, it can lead to an increased sense of vitality. It has also been found to have a calming effect on the mind, ease depression, spark creativity and improve attention and focus. A five-year study, which examined 500 children from 14 primary schools across Melbourne, Australia, found that those children who spend break times in more natural playgrounds as opposed to asphalt ones feel better rested and therefore more able to concentrate back in the classroom. The researchers discovered that had a direct correlation to exam results and attainment. But despite these findings, a recent survey of parents revealed that three-quarters of UK children spend less time outside than prison inmates. This means schools have an opportunity to make a huge difference to young people’s mental health by increasing time spent outdoors. Where, though, should a teacher approaching outdoor learning for the first time start? According to Robertson “there are many ways to skin the outdoor cat” and no perfect formula. However, there are a few practical steps teachers can take which will help them get projects off the ground. First of all, taking part in a scheme such as the John Muir award – which encourages people to get involved in environmental activities – works as an incentive for both teachers and students. The organisation also provides useful advice and resources for participants, giving teachers the knowledge they need to get projects off the ground. Robertson also recommends sticking to very straightforward activities and points to the Mission Explore website for lesson ideas. The Learning through Landscapes site is another mine of helpful resources, particularly for schools interested in running horticulture projects. Schools in urban areas with little or no nearby green spaces can, however, feel limited by the opportunities for outdoor learning. Stephen Lockyer, deputy head at The Mead School in Tunbridge Wells, does not believe that location is a barrier though. 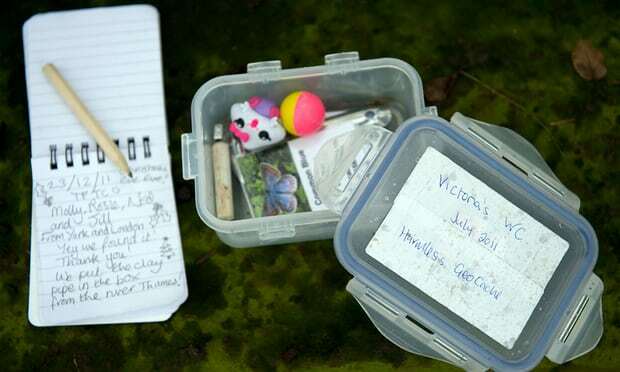 By getting his students involved in geocaching, children have found themselves embarking on real world treasure hunts around the country. The activity which started in 2001 involves hiding containers filled with small gifts in all manner of places, uploading the coordinates to the official website and then leaving them for others to find using GPS. Lockyer explains that there are often hundreds of geocaches hidden in urban centres and their hunts have taken them as far as Hadrian’s Wall. The potential for other schools to get involved is therefore enormous and claims students feel a sense of ownership from secretly planting something in public spaces. He says some students do feel stifled and restricted by the classroom. The outdoors however can feel a lot less threatening or uncomfortable for those children and he has noticed pupils with behavioural challenges are particularly receptive to the freedom which that environment brings. With exam season now in full swing, there is the temptation to spend more time indoors revising and swotting for tests. However, Lockyer insists there has never been a better time to take lessons outside.